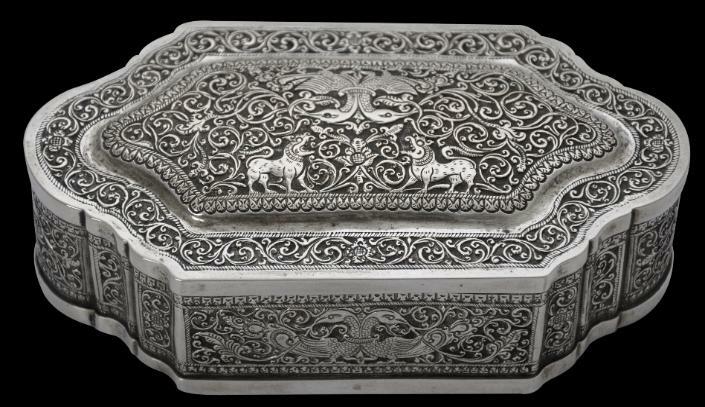 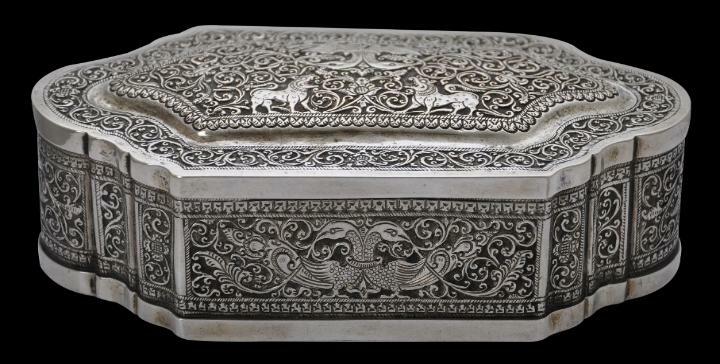 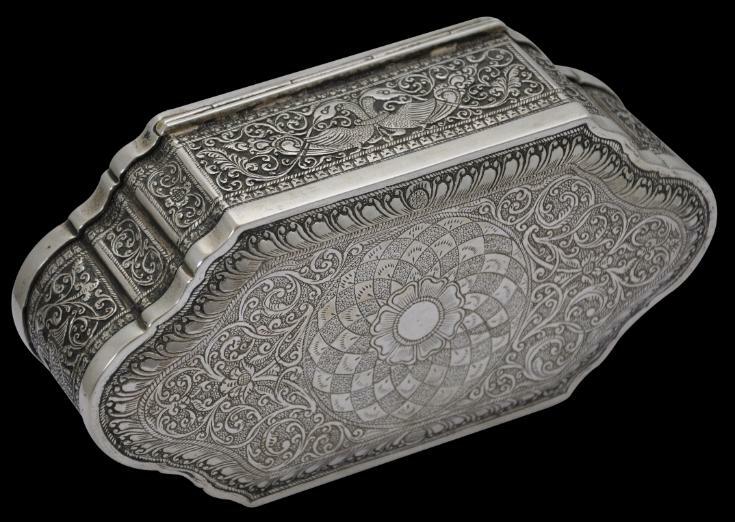 This very fine silver lozenge-shaped box has a tightly fitting hinged lid, curved ends and a slightly domed lid and base. 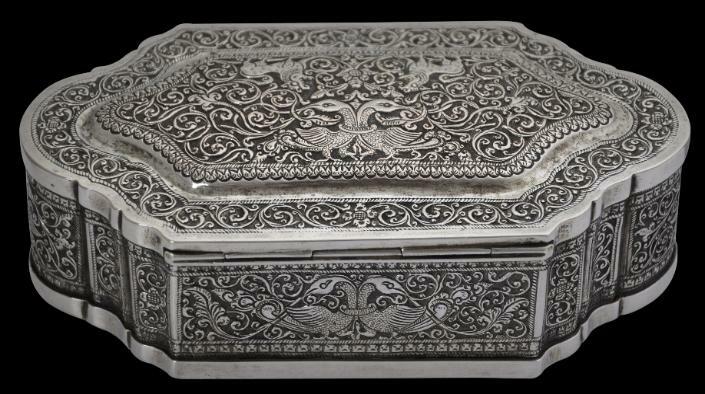 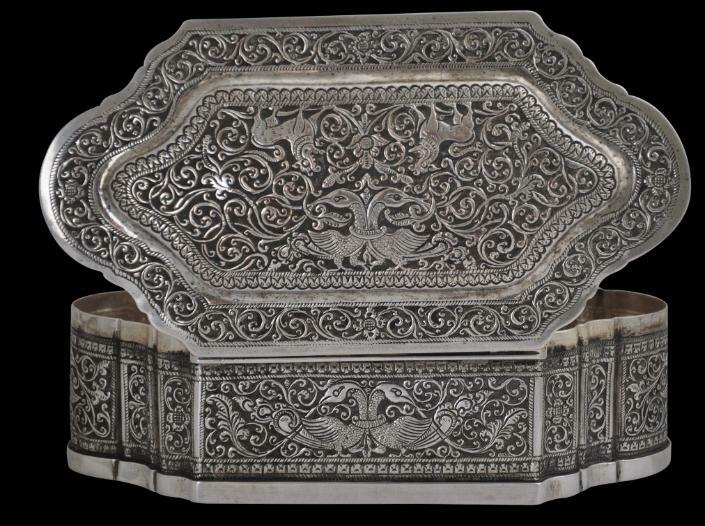 It is finely chased on the cover and all sides with superb panels of complex, interlocking Sri Lankan or Ceylonese vegetal scrolling as well as addorsed sacred sawn or hamsa motifs, double-headed parrot motifs,, and makara motifs. 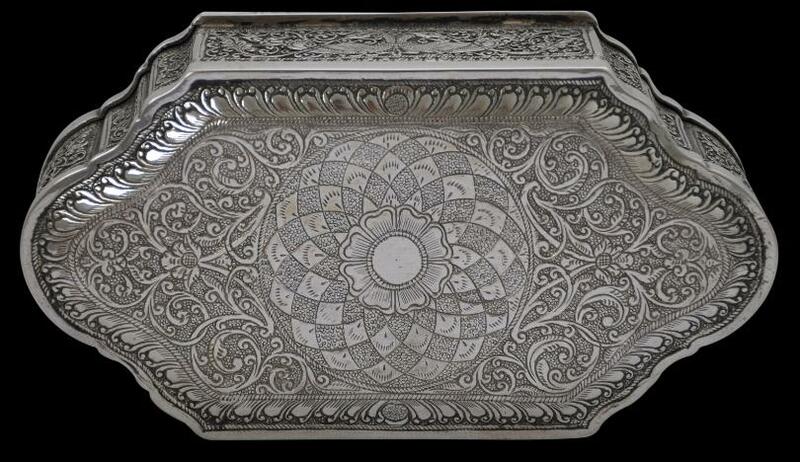 The base is beautifully engraved with a floral and scrolling leaf design around a central floral roundel. 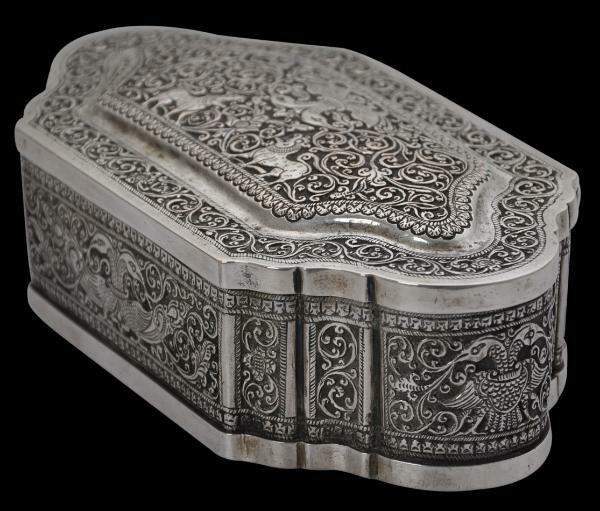 The box has a good weight, is in excellent condition and is a fine example of this type of box.